What So Sizzle Bout Sizzling Suzai - Malaysia Fashion, Travel and Lifestyle Blogger: [GIVEAWAY] Win Yourself Lux Magical Spell worth of RM100! [GIVEAWAY] Win Yourself Lux Magical Spell worth of RM100! Luxurious shower experience with its intense fragrance. Lux Magical Spell gives unparalleled 8 hours of long lasting fine fragrance hence inspiring Lux fans to discover their bold side and step out of their comfort zone – especially with trying new things. With the unmistakable presence of the intense Black Orchid, the opening notes of Juniper Oil and prefect blending of dark woods, golden amber and vanilla bean, Lux Magical Spell serves as a bold, powerful fragrance. Oh gosh the aroma is absolutely seductive! you could immediately smell the strong 'fragrant' once you press the cap. undeniably, the texture is very rich and pearly in purple shade will make you rejoice your shower time. i dont feel like want to spray perfume anymore after taking bath with this "Magical Spell" as i already smell fresh, incredible and confident! As simple as you need to answer 2 questions. 2) Why should I pick you as a winner?? And so sorry Aimi i need to submit the winner's details and yeahh.....its time! CONGRATULATION !!! 2. Because i dont want to use perfume so please pass this product to me. 2) I should win because i'm never use Lux before this. After reading your blig entry, I feel like I want to be one. 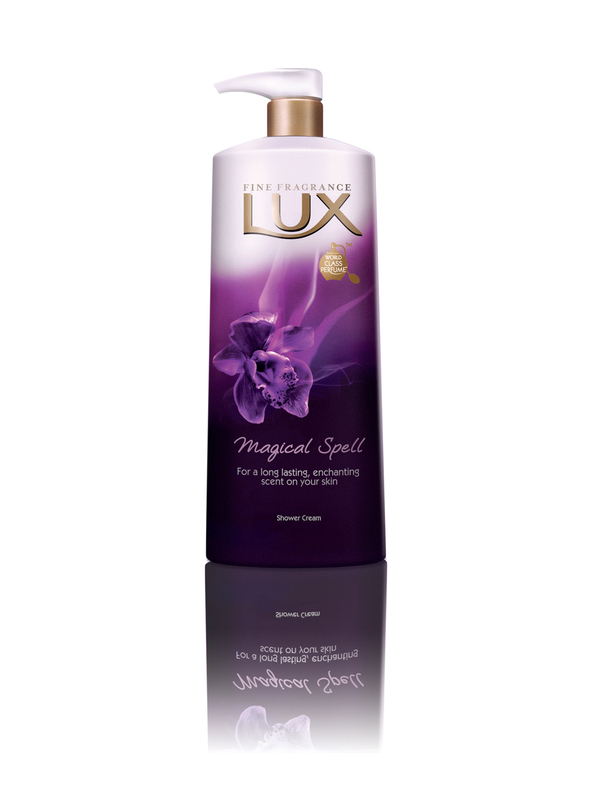 I want to be pamper, feeling in the spa while using Lux Magical Spells. 2. Because I am a pregnant lady and want to look fresh and smell great. 2) Yanie nak menang kerana Lux memberikan seribu satu makna kewangian dalam diri. Lux Magical mampu mengekalkan magikal dalam rumahtangga. Bila kekal wangi suami bertambah sayang!! Hello si cantik manis ! 2. Because this perfectly wrapped Lux Magical Spell hamper would surely, undeniably and definitely be gorgeous to be one of my hantaran for the grand akad nikah this coming new year. Oh gosh mesti cantik gila ! Furthermore, I could use it to goda encik suami nanti with the new seductive scents with no need to wear any perfume ! Worryless ! It's great to boost up confidence level ! How exciting !